Salesforce develops tools to help salespeople and managers focus on what’s important, more sales and less administration. Now fill out the form and start using the 30-day trial version of Salesforce CRM for free with all its functions. You can try the complete platform free for 30 days to join more than 150,000 satisfied clients using the world's #1 CRM solution. 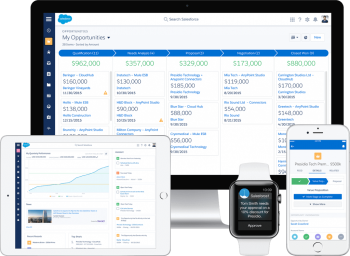 Salesforce develops tools to help salespeople and managers focus on what’s important – more sales and less administration. Salesforce Turkey Reseller & Parner INSPARK provided solutions for more than 500 companies. Get inspired by the Salesforce Customer Success Stories of the companies and NGOs we work with.